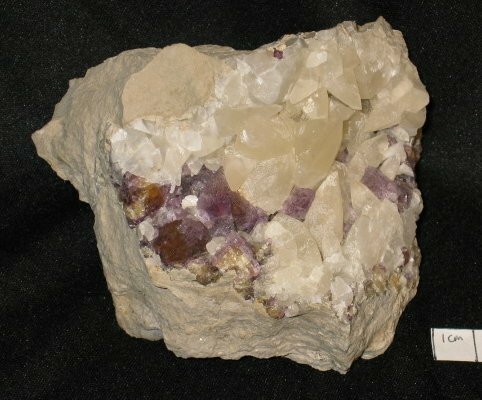 Fluorite (purple over yellow) with scalenohedral calcite, lower pit of the Irvington quarry. Collected in the early 1980's. Specimen 746 in the collection of the photographer, Alan Goldstein.